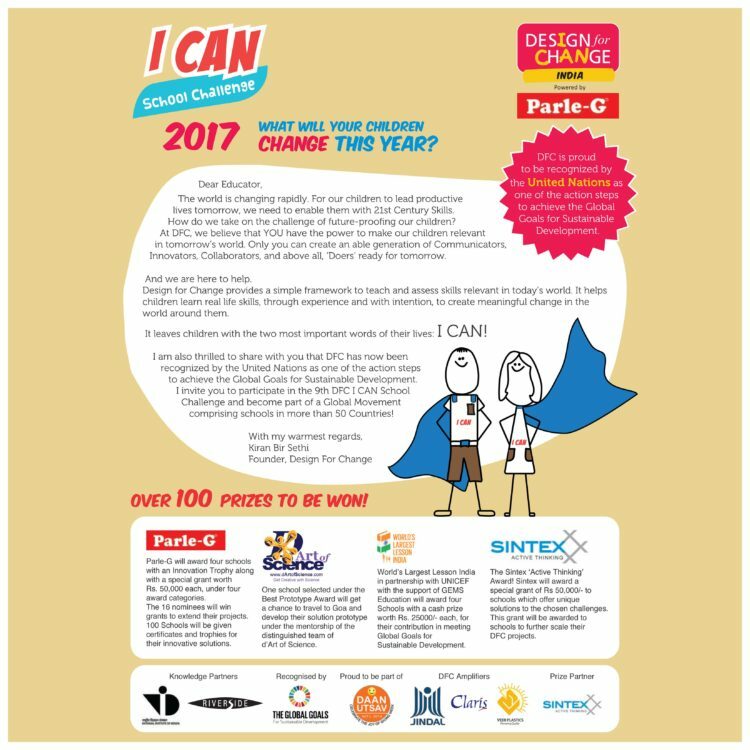 Starting this year, d’Art of Science partners with DFC for promoting Hands-on/DIY Culture in Schools by starting a sub-award in the annual DFC Challenge. One school selected under the Best Prototype Award will get a chance to travel to Goa and develop their solution prototype in Goa with us. Over one week this will be done in the form of a crash course in hands-on approach to design and problem solving. This one week stint will also include a DIY video so that the team can see how documentation can be done in the form of a video.